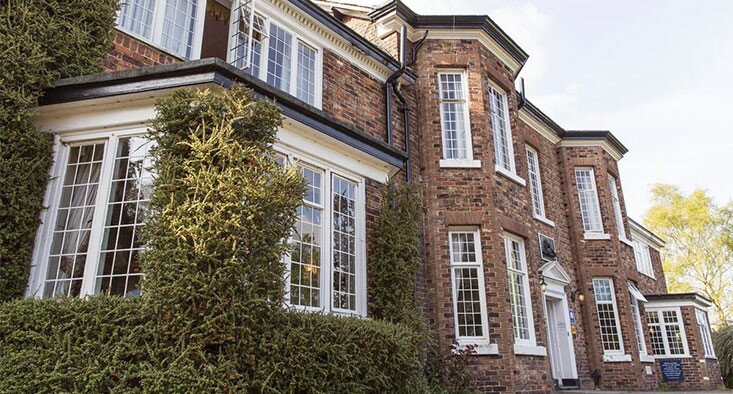 Located close to Wilmslow Rail Station which is 1 mile away this hotel is set in the Cheshire countryside. This AA 4-star Stanneylands Hotel has a 2 AA Rosette-awarded restaurant, large gardens, free Wi-Fi and free parking. The Stanneylands Hotel has 55 en-suite bedrooms with a variety of room types including luxury suites, executive rooms, standard double rooms and an elegant 4 poster bedroom. Families are most welcome with a dedicated family room, interconnecting rooms, travel cots and z-beds available on request. Stanneylands Hotel is located just outside Handforth, with journey time to the airport terminals by car being approximately 20-25 minutes.